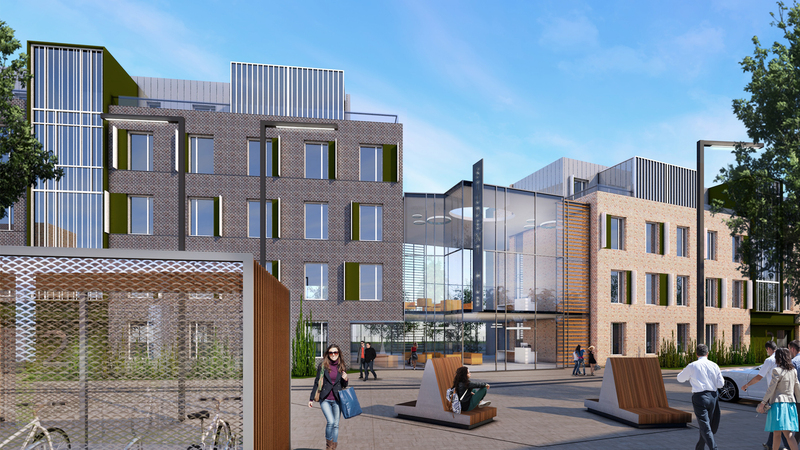 The proposed student accommodation development consists of 194 no. ensuite student accommodation bedrooms – 186 no. bedspaces in 30 no. house units in a linked four and five storey building and 8 no. single bed ensuite studio rooms in a three storey building together with associated facilities including a central access lobby, a central hub, recreation spaces, administration areas at basement and ground floor levels.